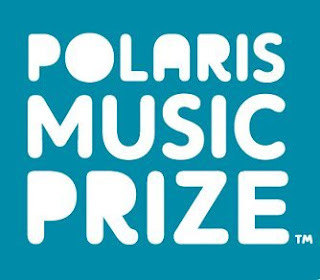 The short list has been announced for the Polaris Music Prize and it contains two veteran artists, one who recently passed away and one who is terminally ill.
Leonard Cohen, who died on November 7 of last year, has made the final ten with his last official album, You Want It Darker. This is Cohen's first time making the list for the prize that was established in 2006 to honor the best Canadian album based on artistic merit. Also on the list is Gord Downie, the lead singer of the Tragically Hip, for his album Secret Path which was based on the story of a native boy who, in 1966, was killed after escaping an Indian residential school. It is also the first nomination for Downie who was diagnosed last year with a terminal brain tumor. Two former winners are also nominated. Feist won in 2012 with her album Metals and is up this year for Pleasure. She was also nominated in 2007 for The Reminder. Tanya Tagaq took the prize in 2014 for Animism and is on the short list this year for Retribution. An eleven member grand jury will now debate the merits of the ten nominees and a winner will be announced on September 18 at the Carlu in Toronto. The winner receives $50,000 while the runner-ups get $3,000 each.